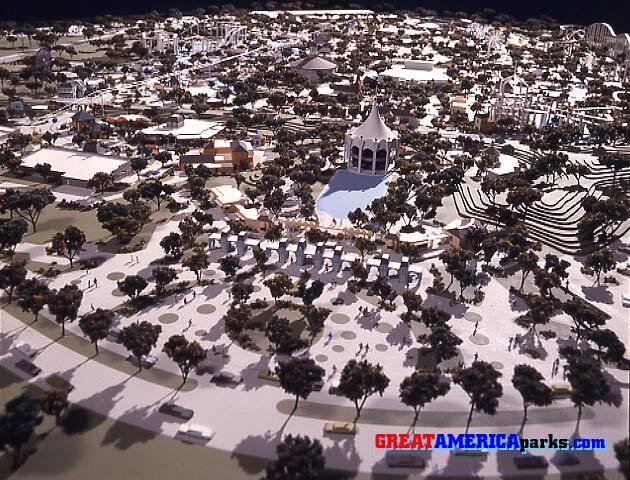 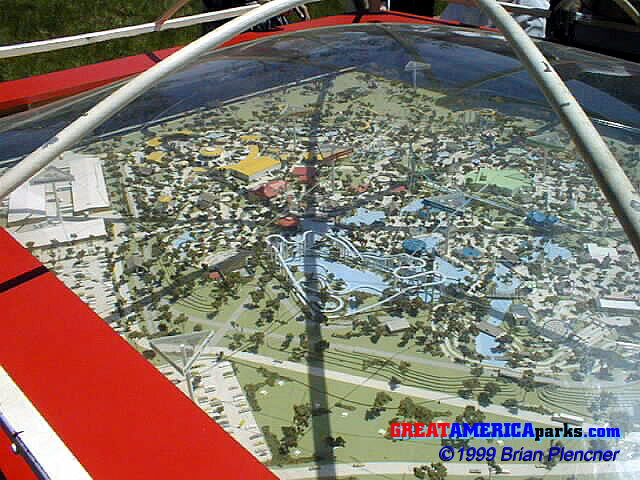 Elevated triangles visible in the model served as markers indicating the name of each themed section. 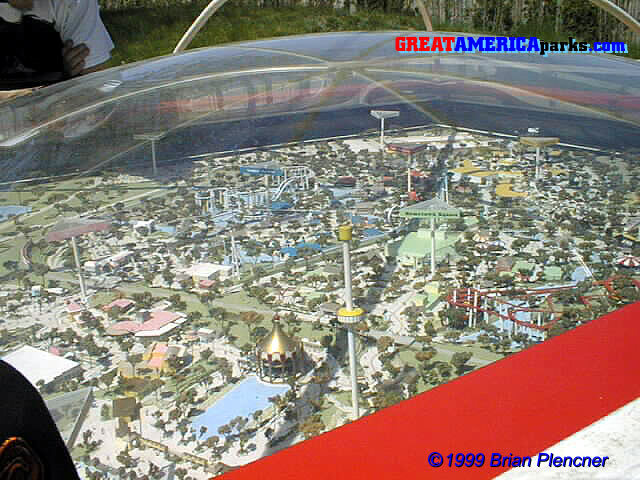 The triangles and rooftops are color coded by themed section. 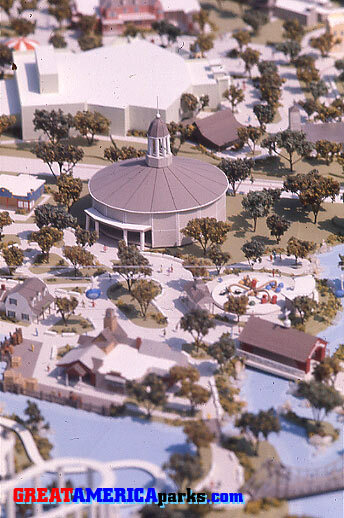 In this photo you can see that Orleans Place was pink, Yankee Harbor was blue, Yukon Territory was red, County Fair was yellow, and Hometown Square was green. 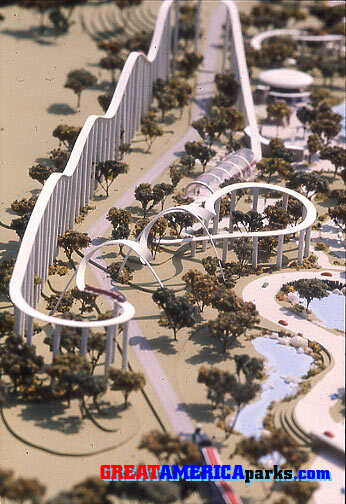 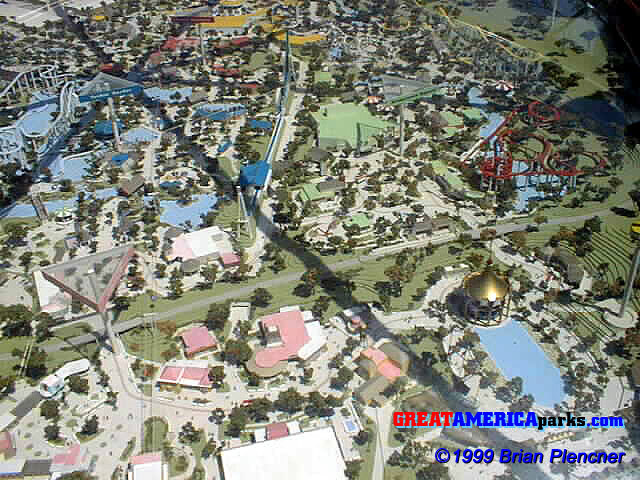 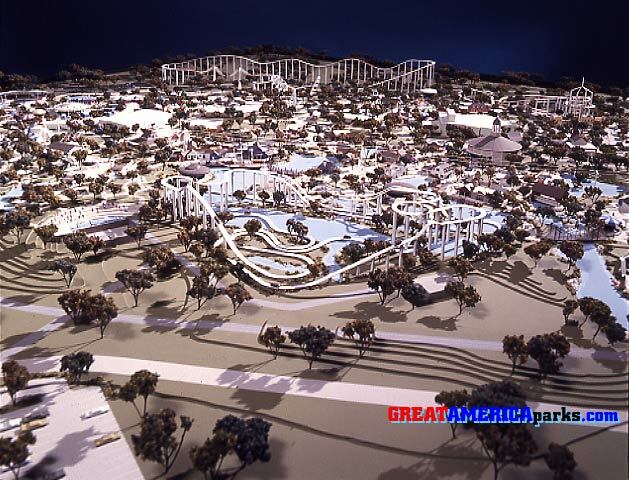 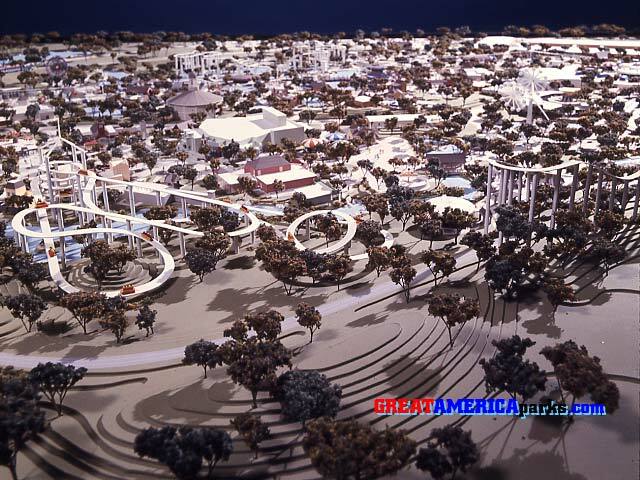 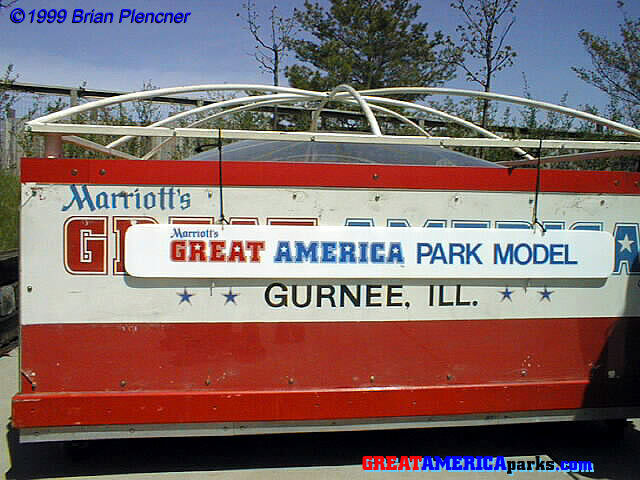 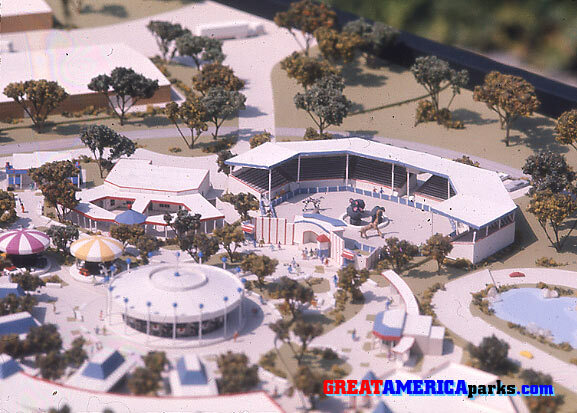 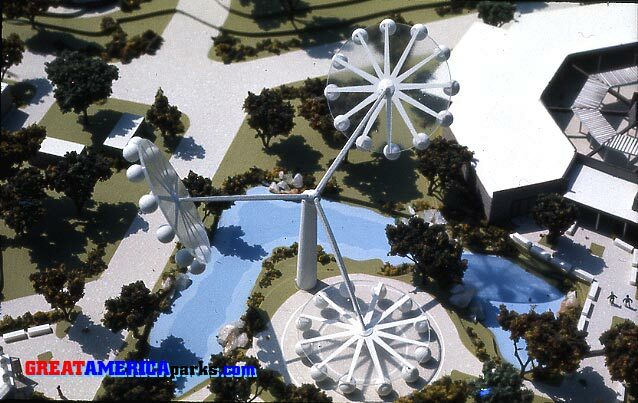 This model appears to be current as of the 1978 season because it includes the Tidal Wave, but does not yet have the Pictorium which debuted in Gurnee in 1979. 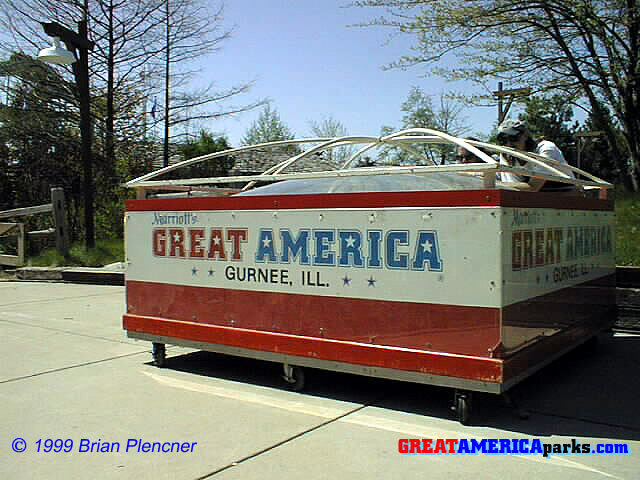 Photo courtesy of Brian Plencner.